It is hard to imagine a person professing admiration for Hitler, but I met that person and I instinctively balked. Why would anyone have anything but contempt for a man who ordered the death of millions? 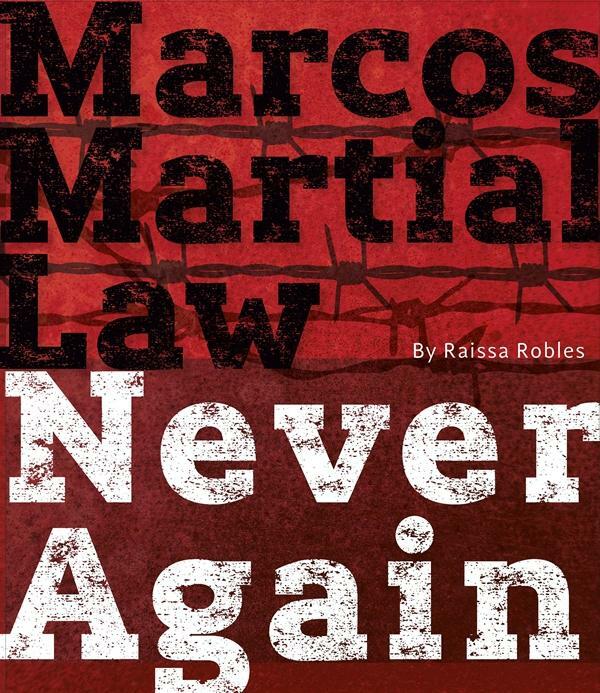 After reading the preview to “Marcos Martial Law: Never Again” by Raissa Robles, what he said made more sense. 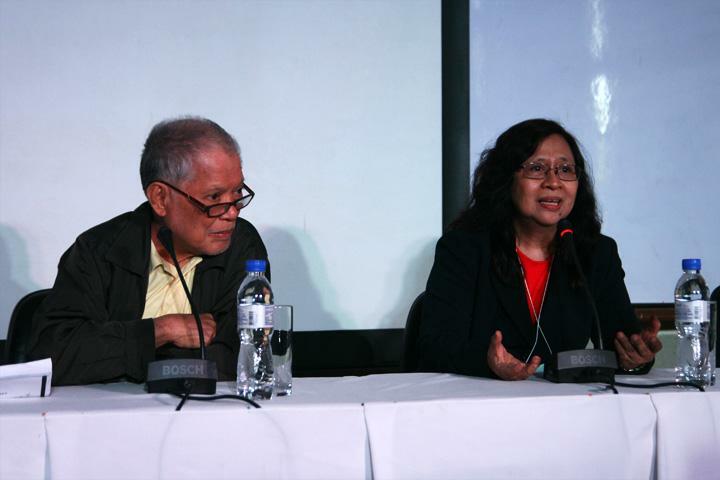 During the launch of the book, human rights lawyer and former senator Rene Saguisag verbalized these thoughts. Robles’ extensive research honors the Marcos family’s wishes regarding their great patriarch’s legacy. Facts are presented and carefully footnoted, so that the memory of Ferdinand Marcos is preserved. The timing seems suspect, with the launch so close not just to the 30th anniversary of the historic protest that overthrew the dictator, and in an election year in which the dictator’s son is in a good position to emerge a victor in the vice-presidential race. Her book is not the first to be published about the Marcos regime, but it reads easier, simpler, and above all, fresher. Robles, with the aid of her husband Alan, flexed every muscle involved in writing. In chapter one, a section titled “Ferdinand Marcos” begins with a story that will inspire feelings close to reverence for the young Ferdinand. A law student at age 18, the future president of the Philippines became a suspect of nothing less than an assassination. If his growing number of young fans need one more thing to admire, it turns out that Marcos was also an excellent marksman. He was the national rifle champion at the time when his father’s greatest political rival Julio Nalundasan was shot after being elected…and so he became a suspect. That and the fact that the Western Lubaloy .22 caliber bullet that pierced Nalundasan’s heart was similar to ones loaded in the rifles Marcos used in competition more than aroused suspicion. I do not remember this from my history lessons, but apparently, Marcos was arrested for the crime and convicted. This was after he took the bar and placed first (of course), but he was imprisoned in the same year. However, “he didn’t stay long in jail,” Robles writes. His conviction was overturned by the Supreme Court and Marcos would later claim that his “legal prowess” won him his freedom, but research points to Associate Justice Jose P. Laurel. According to the book, Laurel believed Marcos to be guilty, but he himself was convicted of homicide after stabbing a romantic rival. He was acquitted by a sympathetic Supreme Court justice and as a way to pay it forward, he extended the same “courtesy” to Marcos. The story has a surreal, superhero origin feel to it. A bar topnotcher, an excellent marksman, incarceration, and a potential so evident and grand that it compelled a Supreme Court judge to reverse a lower court’s decision? He sounds amazing. And truly, he was. For you to have done what Marcos did, you would have to be tremendously clever. About as clever as, perhaps, Dr. Doom. Dr. Doom is himself one of the greatest minds in comic book history. Readers accept and, yes, even admire that he is a genius…but he remains a villain, without much argument from even the biggest of fans. 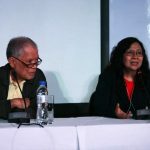 When Robles releases the full book, possibly in March, she will include a testimony by former US Ambassador Stephen Bosworth containing Marcos’ confession that he knew about the human rights violations during his dictatorship. The same excuse now springs from the youth’s lips. If you obey and comply, you wouldn’t be harmed. Only those who dare to question authority would suffer. Even if the word “brutalized” was written a hundred times over on this page, it would mean nothing for those who haven’t experienced or encountered a genuinely brutal incident. For example, no matter how uncomfortable the bear attack in “The Revenant” seems, it is probably nowhere near as gruesome as what actually happened. A survivor of the horrors of Martial Law, Roberto Verzola, confirms this. “The youth don’t have scars on their body. They don’t have friends who died. They just read about history,” he said. 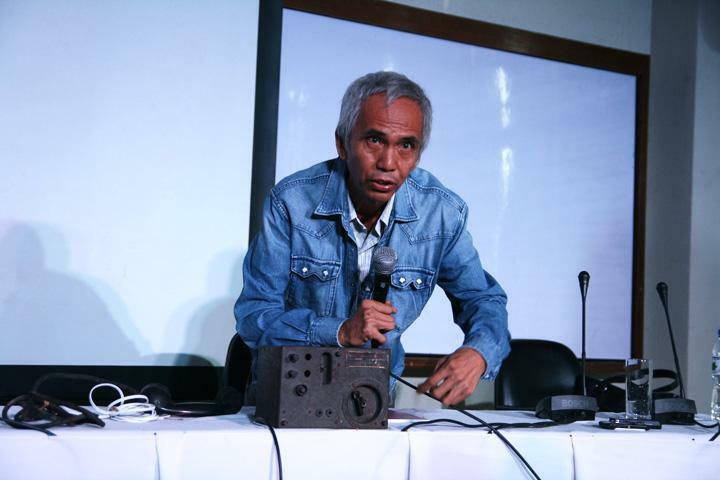 Martial Law survivor Roberto Verzola shares his story. And Marcos reads beautifully. The rise, the struggle, the fall…even the slow and sure return of his son to power—it all seems so exquisitely crafted. Perhaps it is. Robles seems keen on delivering on the promise to show the readers how Marcos orchestrated everything, down to the lack of strong voices passing on the atrocity of his crime. On the 30th anniversary of the People Power Revolution, the once uplifting color of sunshine is slowly being shunned. What a show.